The "miscellaneous" here simply means that these photos were taken in different places around Virginia, with little rhyme or reason to them. I used a fixed-lens 6x9 rangefinder that I have since sold; the lens was wide-angle, and I realized I'm just not that great working with anything wider than around 35mm or its equivalent. My favorite photo out of this bunch is the first shot, of a hotel estate in Bath County, Virginia. More than anything, I just like how I correctly exposed a transparency for once, with proper detail and saturation across the entire frame. 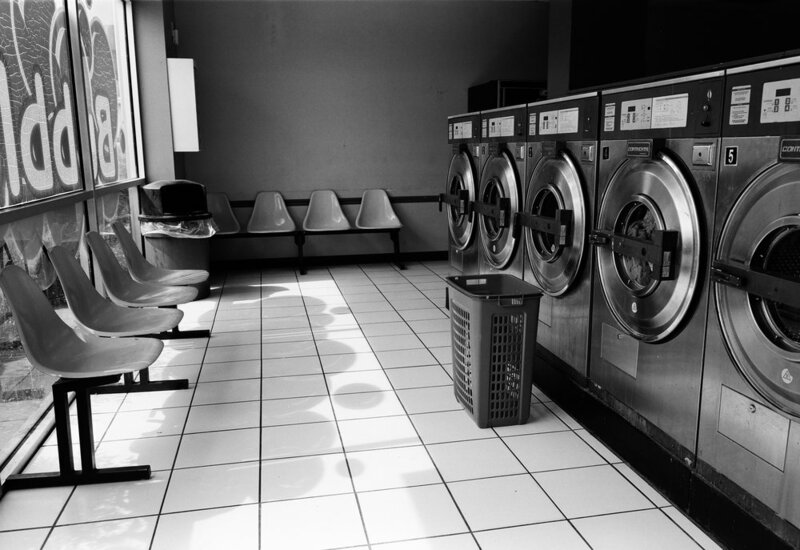 The other photo I like in this group is the last one, of the solitary basket at the laundromat. You can buy that one as a print, if you're interested.